I’ve known about my famous baseball player cousin for as long as I can remember. I didn’t always know he was a cousin — or how we’re related — or in what era he played baseball (what I know about baseball could fit on the tip of a pencil). But I remember my dad telling me about him, and I remember thinking that it was very cool to have a famous relative (despite also thinking that “Christy” sounded like a strange name for a man). 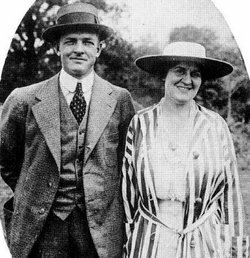 Christy Mathewson and his wife, Jane. Photo courtesy of Neil F. on Jane Stoughton Mathewson’s Find A Grave page. Baseball card photo courtesy of baseballhistorian.com. After I started researching my family, Matty’s name was one of the first I made a point to search. I found out shortly afterward that he’s my 2nd cousin 4x removed. Actually, my double 2nd cousin 4x removed. Confused? Well — Christy’s (maternal) great grandparents, Stephen Capwell and Hannah Whitford, are my (paternal) 5th great grandparents. That’s one way to determine a 2nd cousin 4x removed. But “2nd cousin 4x removed” also means that he was a 2nd cousin of my great-great grandparent (4 times removed = me, my father, my grandfather, my great grandfather, my great great grandfather). Only in this case — not only was Christy my great great grandfather’s 2nd cousin, he was also my great great grandmother‘s 2nd cousin. On the same side. In other words: Christy’s mother, Minerva Isabella Capwell, was a 1st cousin of both Tryphena Capwell (mother of Isaac Fred Tillinghast, my 2nd great grandfather) and Nancy J. Capwell (mother of Edith Brundage, Isaac’s wife and my 2nd great grandmother). Tryphena and Nancy were also 1st cousins, by the way (not sisters). All three Capwell ladies were grandchildren of Stephen Capwell and Hannah Whitford. Anyhow, back to “Big Six.” I’m not sure if he knew my 2nd great grandparents personally — they each had a good 30 years on him — but I think there’s a strong chance that he knew or at least crossed paths with their son, Wilmer (my great grandfather, born the same year as Christy in nearby La Plume) or one of their other children. According to Wikipedia, he attended high school at Keystone Academy (currently known as Keystone College). My 2nd great grandmother was Keystone Academy’s very first graduate, and (though I’d need to learn more to confirm) I wouldn’t be surprised if her children attended, as well. 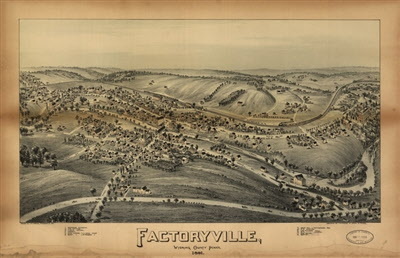 At least 3 of them remained in that region of Pennsylvania throughout their lives; even my great grandfather didn’t leave (for Santa Rosa, California) until the 1920’s. Speaking of Keystone College — in recent years, it has honored both my 2nd great grandmother (through the Edith Brundage Society) and Christy Mathewson (by hosting Christy Mathewson Days). 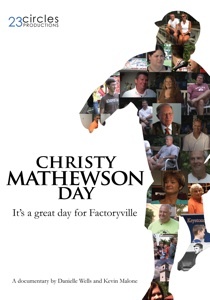 I’ve never been to Christy Mathewson Days — I’d love to, someday! — but as far as I can tell, it’s an annual event put together to pay homage to Christy and to the spirit of Factoryville. There’s even a documentary about the event, which I very much want to see! Click here to learn more, and to order a copy. 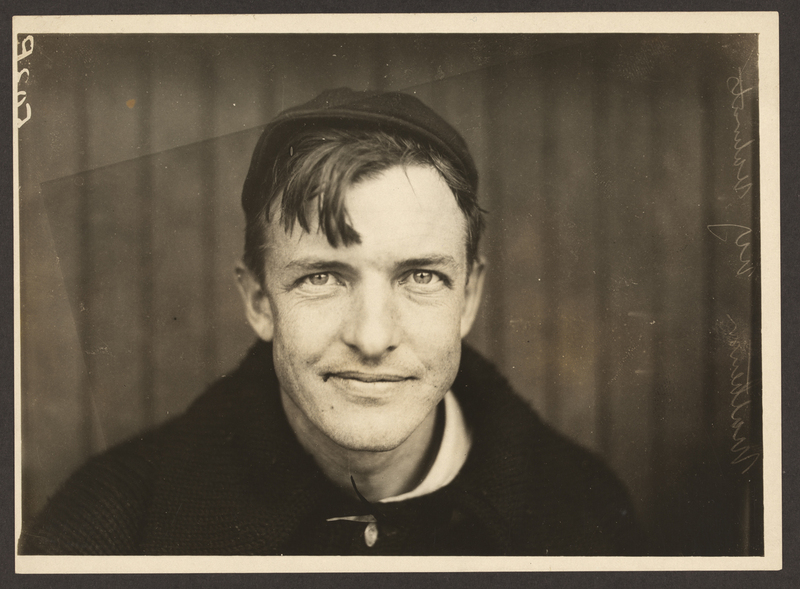 Christy Mathewson smirked in pictures, just like I do! I guess that’s a Capwell trait? I wish I had some unique family photos or stories to share (perhaps in time!). There’s tons of stuff about Christy online, though, and books about him that you can buy on Amazon (I recommend this one). 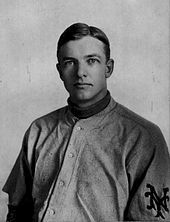 I may not know much about sports, but I’m proud to be Christy Mathewson’s “double” 2nd cousin 4x removed. By all accounts, he was a good man and a great ball player. It’s a shame that he died so young. 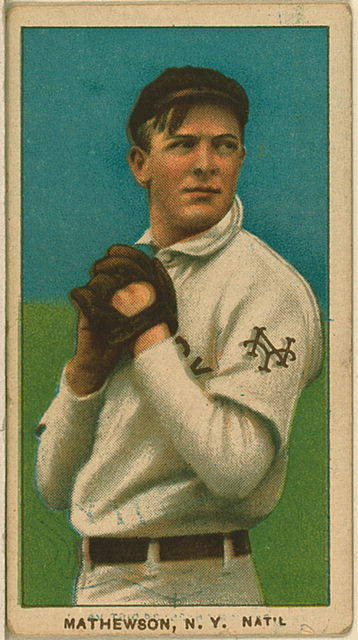 Tomorrow I’ll tell you about his son (Christy Mathewson, Jr.) who also died at a much too young age. I found Christy Jr.’s obituary online about a year ago, and I haven’t forgotten his story since.